What I've Learned After 3 Years of Blogging + Clarisonic Mia 2 Giveaway! It's still hard for me to wrap my head around the fact that I started my blog three years ago today! I still remember hitting publish for the first time and my heart beating out of my chest because of how both nervous and excited I was. That same feeling resurfaced when I uploaded my first video on my YouTube channel after debating starting one for the longest time. So, to celebrate my three years in the blogging world and my one year of making videos, I thought I would share what blogging has taught me with tips and lessons learned along the way. 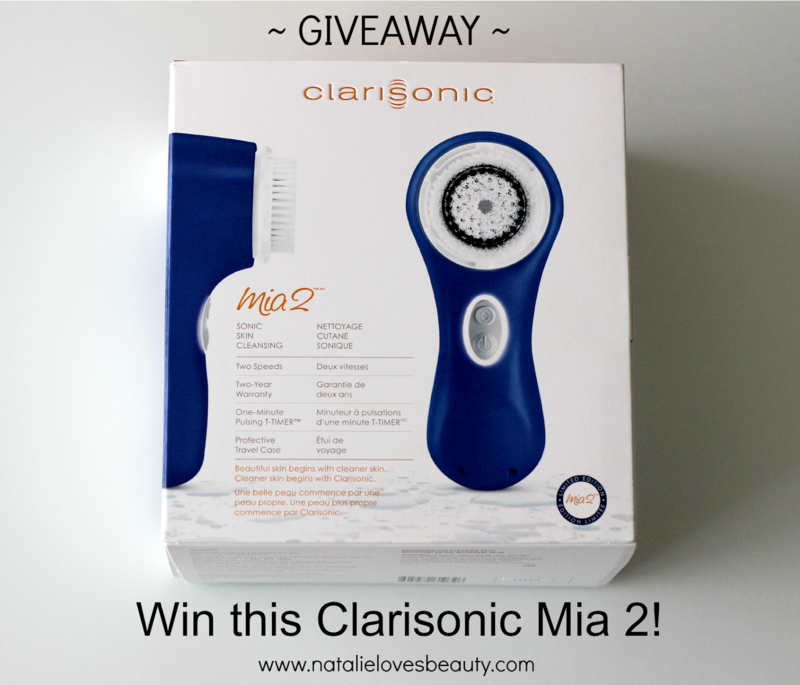 I also wanted to thank you for following me on my journey, so stick around until the end for a chance to win this limited edition Clarisonic Mia 2! I aim to put two or three new posts up each week, and looking back, I think I've been pretty consistent about it. That is the secret: find what works for you, and stick with it! Of course there are weeks when I am not as active on the web because life gets in the way or I find myself in a bit of a rut as to what I should write about next, and that's okay. Take a break to find your groove if that's what it takes and you will come back motivated and inspired. "Comparison is the thief of joy"... so true! We have to remember that we all start somewhere, don't we? This reminder has helped me so much on my journey. With time and effort, people will see the value of what you have to say and will want to stick around. The right opportunities will come to you, trust me! I cannot even begin to explain how wonderful these are! Link ups are a great way for your blog to get more exposure all while finding new blogs to follow. I have joined a bunch of link ups over the years and I can say from experience that they are one of the best ways to attract new readers to your blog. For the last year or so, I have also been co-hosting the Wake Up Wednesday Linky which goes live every week on Wednesdays - I invite you to join us each week here! Best way to find a group of like-minded people who share common interests? Blogging networks of course! I have come across and joined quite a few over the years, and with a bit of research you will find one that appeals to you. The Canadian Beauty Bloggers Network is my favourite by far. It is run by a wonderful group of ladies and everyone in the group is so helpful and resourceful. Truth is, the only reason I am on social media is for my blog. When I first started using Instagram and Pinterest I was beyond confused but thankfully got the hang of it pretty quick. 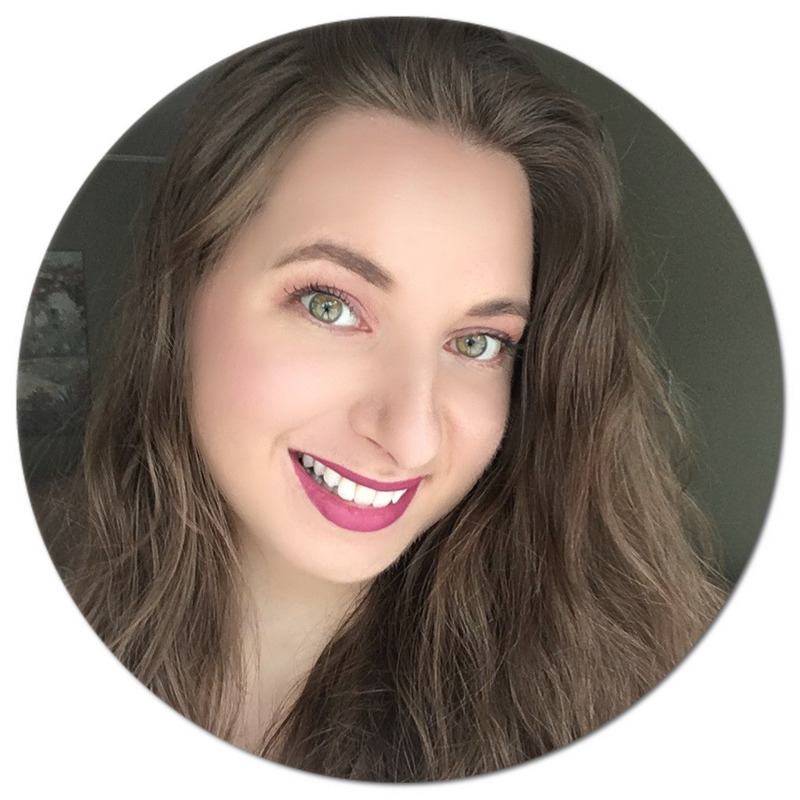 I had no idea how helpful setting up accounts and being active on social media could be to drive new visitors to my blog and provide a friendly reminder to my current readers that a new post just went up. At first it might seem like a hassle, but stick with it and you will see how well it works! This one can be hard to swallow, but really it's just a fact of life! I used to be so scared of what others would think of me, and I can honestly say starting this online adventure has helped me get past that! Negativity is unavoidable in whatever you do (even from yourself!) - you just have to learn to take it lightly and not let it bring you down. Those who believe in you will stick around and show their support! There is something about blogging I feel many of us have in common - we're kind of shy to talk about it to others, especially friends and family. A blog is very personal and I initially feared being judged. I realized it is something I should be proud of because I really do enjoy it. It took me a lot of courage to approach others with the news, but after letting the cat out of the bag, I wish I had done it sooner! Everyone has been so supportive, and it makes for a great conversation when people want to learn more about it. Whether you are a seasoned blogger or looking to start, I hope these tips and reminders were helpful! If you have any tips, feel free to leave them in the comments below! Now for the part you've been waiting for! I am so excited for this giveaway because I have been saving the prize for this special occasion. Some of you may remember that I was a candidate in the Made in Blog Awards last year. At the time, I shared how you could win a Clarisonic Mia 2 device just for participating in the voting process here. Lo and behold I was lucky enough to win one as nominees were in for a separate draw! I already have the original Mia (which I reviewed way back here) and it is still going strong. Of course, I couldn't resist giving this new one away to one of my readers to say THANK YOU for your support! Please use the box below to submit your entries. The more entries you complete, the higher your chance of winning. For full terms and conditions, see the box below. I have never used the clarisonic but I would love to try it as I would love for it to clear my skin up! I have never used one but I like that the 2 speeds means that Speed 1 is delicate enough for even very sensitive skin conditions. I like that the Clarisonic will get my skin exceptionally clean and gently exfoliate at the same time. I have never used the clarisonic but I would love to deep cleaning my skin. Would really enjoy a deep cleansing ~ have never had the opportunity to try a Clarisonic, but sure would like to. The deep cleansing it offers! I love that it has interchangeable brush heads for different skin types and requirements. I have never used Clarisonic but I know that it cleans and gently exfoliates skin. I haven't tried the Clarisonic, but a few of my friends have been after me to try it. They swear by it! I have never used the clarisonic and i want so bad to win it! I haven't tried the Clarisonic, but I've always wanted to because of the great reviews I've read about it! Looks like a perfect deep cleansing skin product. I love the deep cleaning that the Clarisonic offers! I like that it has Interchangeable Facial Brush Heads. Love that it is so easy to use! I have been saving for this my entire life, it would be a dream come true to win it ! I need a deep cleansing for my oily face, and this baby is what i need ! Thanks for the chance ! hank you for this amazing giveaway! I have never had the chance to test the CLARISONIC but I cross my fingers hoping that the chance will give me this opportunity. Wis you a fabulous continuation! Congrats!! I love Clarisonic deep cleansing!! never tried it, but i've heard amazing things about it! I love the Mia because you can change the heads for various skin types & levels of cleaning!! I love the one minute pulsing timer, the two speeds, and that is does a deep cleanse to make skin healthy and nurished. I love the deep cleaning that the Clarisonic offers. Hello & Congratlations! I love that it would clean my face so thoroughly. Also that it rotates and there are different brushes to use. So awesome! Congrats on 3 years! I would love this! Thank you for the chance! I have never used one, but i think the pulse timer is a nice feature . Congrats on 3 years! Congrats on three years! Your tips are so good. Thanks for the giveaway! I have never tried Clarisonic, but I love that it exfoliates. OMG, never tried Clarisonic. Luve the pulse timer feature. Divine. Wow, prize Clarisonic is fab. & splendid. 2 fingers snap. It is tight, fly & off the chain. Thank you for the awesomeness, the contest, and generosity. :) Pick me, pick me! I like that it has the T-Timer so I evenly clean all parts of my face more effectively with more time spent on the areas that need it and less time on more sensitive area. Happy Blogiversary! I've always wanted a Clarisonic so I can keep my skin cleaner! I like that the Clarisonic helps you get off all your makeup gently. I love that the Clarisonic has a timer, so you don't overdo it! I like that it removes impurities and cleans so well. I also like the timer feature to know when to move on. Thank you so much for this giveaway and congratulations on your blogiversary. I like what I am hearing about the Clarisonic. I actually have never tried one, but from reviews and a friend who has one, I am hearing great things. I so want one! I love that Clarisonic has so many great reviews!! I base my purchases usually off of how well something is reviewed, so I really do have high hopes for this little tool! I have never used any Clarisonic products but I would love to experience the deep cleansing they offer. I haven't used one yet, I do love that it comes with a two year warranty. I have never tried it yet but I would love to check this out to lighten my wrinkles as I am already 38 years old. Soft Brush and Deep Cleansing is what I love. Nice blog post too, good tips! Congratulations and to many more years of beauty blogging! you are wonderful and are doing an amazing job! I love your youtube channel and your blog is so beautiful and wonderfuL! Congratulations and keep going! :D something happened with my computer and I don't know if I just left you a hundred comments. lol sorry . I've heard so many wonderful things about the Clarisonic! Deep cleaning and helping my skin is so important to me. Really fantastic giveaway! Oops, forgot to mention why I'd like to try the Clarisonic. I have combination skin that's difficult to manage, and the deep cleaning and exfoliation is much needed, with acne and dryness (how is that even possible?) on the T-zone. I have not used Clarisonic and I want to try it. Thanks for the chance! I like that the Clarisonic really cleans your skin. I've never tried Clarisonic, but I have heard many good reviews about it. I like the fact that it cleans the skin gently. I like that it deep cleans. I have never used Clarisonic but I heard a lot about it. I have not used one before but I have been reading up on different types because I would like to get one. There are a lot out there and it is hard to choose. I just really want it for the cleansing aspect. I love that the Clarisonic offers a much deeper clean compared to just using your hands! How it removes all makeup from pores, and thoroughly cleanses skin! I think it so nice that you are doing this you are a better person than I am. I hope i win this because i have eczema and acne so it will really help clear it away. I'd like to try the Clarisonic because I've heard it gives you a much cleaner feeling. I haven't used it yet, but from what I've heard it really does work and is easy to use. I like that it sounds like it is gentle on the skin but still effective! I have heard such great things about Clarisonic! I would love to try one! I've never tried clarisonic but I;m in desperate need of good cleansing tool for my skin! I've heard good reviews about mia 2 and I'm so excited to try! I've never tried Clarisonic before so I'd love to try it. I've heard soo many good reviews about it! I have not used Clarisonic, but I read many great reviews about it. I have a face brush from Olay that's very similar to a Clarisonic and I love how it buffs away dry patches and flakes on my skin, and I'm sure the Clarisonic can do even better! I have never gad the pleasure of using it but I would love to try it for cleansing my skin. Congratulations on your 3 years blogging and thanks for the giveaway! I've never used it before! I have not used Clarisonic, yet. I like Clarisonic's ability to better clean the skin. I haven't used it before but it gets great reviews! I have never used one but I have heard great things about it. I heard it is gently does great with exfoliating. This would be a gift for my wife since she has been wanting something like this. She suffers from acne and is hoping something like this will help.